Prayer has a place in drug treatment. Although very tough to quantify, the use of a higher power in recovery is an established and effective technique in the battle against addiction. Prayer and Faith have been used for thousands of years against the temptations of the flesh, and even the oldest modern addiction healing techniques incorporate prayer in drug treatment as an important facet of recovery. Although prayer may not be scientific or numerically measurable, prayer offers strength and continuing solace against the pains of recovery and hope for a better future using the strength of God as our strength. 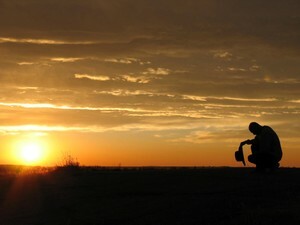 Prayer need be nothing but a very personal and honest relationship between a person in recovery and God; and as such the personal prayers used need reflect the realities of the individual addict; but as a method of recovery, in addition to personal healing prayers, 12 steps programs use prayer to assist in three important stages to recovery and better physical and spiritual health. We use prayer in drug treatment to turn our will and our lives over to god. We use prayer in drug treatment to ask God to remove our weaknesses and shortcomings, and we use prayer to seek guidance on the will of God, and on how to better live our lives in service of Him and of others. These are the three prayer focuses of AA and other 12 steps addictions recovery groups, and these prayers in drug treatment have given strength to millions who have bettered their lives and conquered devastating addictions using prayer and the strength of God. The Lord will heal your teen. Let Him. Pray for the strength and wisdom to do all you can do and nothing more. Pray so that you may transform your pain and anger into love, and pray that your teen may soon feel God's healing power. Just as the 12 steps help alcoholics reclaim sobriety, they also help many to overcome an addiction to gambling.